Tangled, or Rapunzel as it's known in some countries outside America, is based on the German fairytale by the Brothers Grimm about the girl with the impossibly long, fair hair. 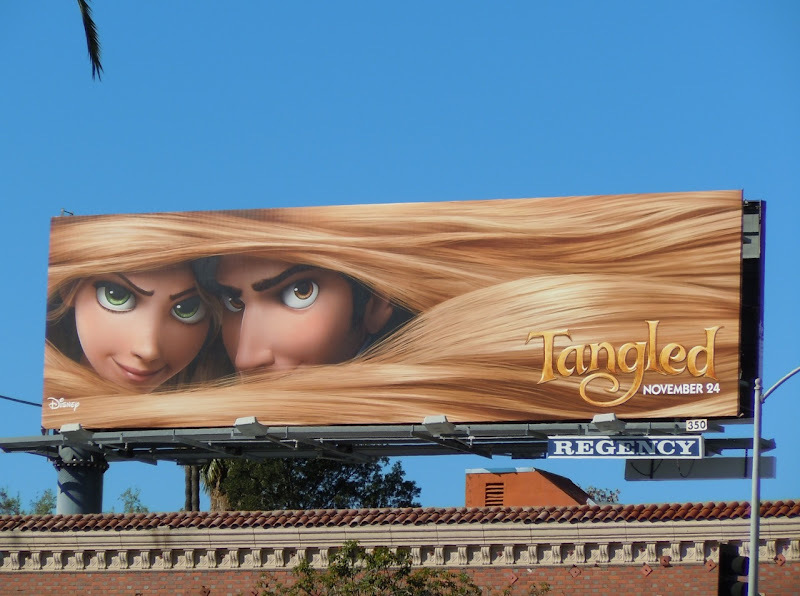 When you know that, this playful image of the animated feature film's two main characters peeking through her golden locks makes even more sense, although it's a surprise that the Disney branding is so small. 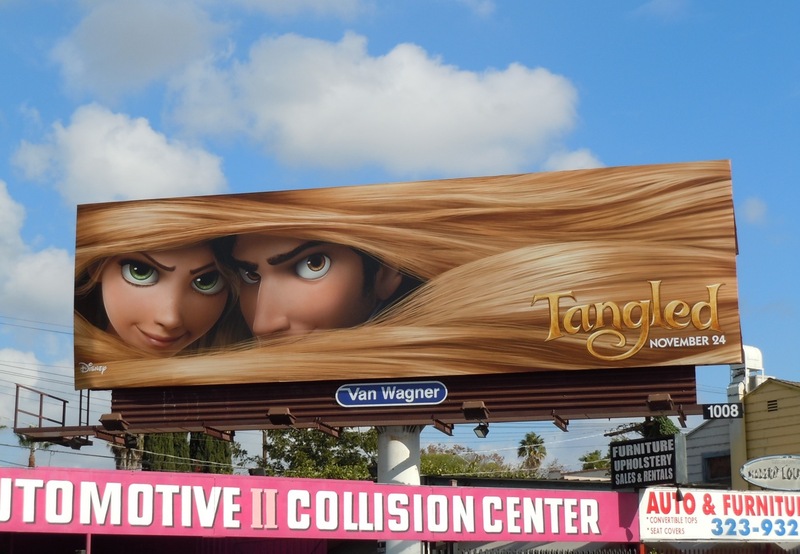 This fun billboard was snapped along Sunset Boulevard at Stanley Avenue on November 2, 2010, and it really stands out against that Californian blue sky.